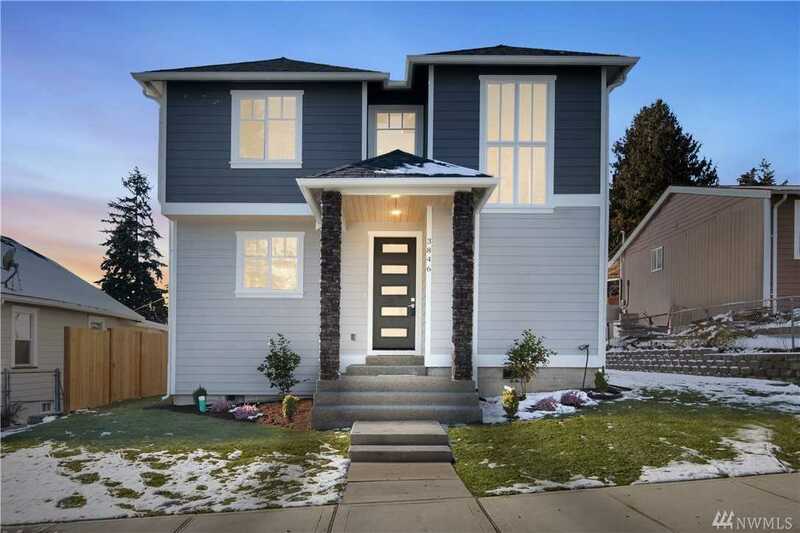 Brand New home with open concept, grand entry and high ceilings in the heart of Tacoma. Gorgeous flooring, patio, cozy fire place,and charming details. The open kitchen features quartz countertops, wood cabinet, stainless steel appliances, dining bar, and A/C!Big master bedroom offers a private retreat with master bath/walk in closet. 2 car garage and nice side and front yard, plenty of parking.location close to the shop, schools, parks, casino. Directions:I-5 to 38th St head East on 38th St, right onto E Howe, land on right. SchoolsClick map icons below to view information for schools near 3846 E Howe St Tacoma, WA 98404. Tacoma Real Estate at 3846 E Howe St Tacoma, WA 98404. Description: The real estate listing at 3846 E Howe St Tacoma, WA 98404 with the MLS# 1409442 has been on the Tacoma market for 70 days. This property located in the Mckinley subdivision is currently listed for $350,000. You are currently viewing the property details of the NWMLS listing at 3846 E Howe St Tacoma, WA 98404, which features 3 bedrooms and 3 bathrooms, and has approximately 1820 sq.ft. of living area.